You might find your self with an abundance of leftover mashed potatoes this holiday season. In my family, it’s not Thanksgiving unless we make 10 pounds of mashed potatoes. This may seem excessive, but with as many as 10-15 people at the table, it becomes a necessity. If I’m lucky, there are some leftover mashed potatoes to take home for goodies the next day. I’ve included the recipe for my Easy Creamy Mashed Potatoes that tops this recipe. I’m taking liberties with my ability to name my recipes as a food blogger. These mashed potatoes are made with sour cream, butter and milk. Yes, each ingredient plays a valuable role in creating rich, creamy and fluffy mashed potatoes. Follow my recipe below and you’ll have cloud-like potatoes that you’d be happy to dream about any time. Once you have your potatoes made, it’s time for the Shepherd’s Pie filling. 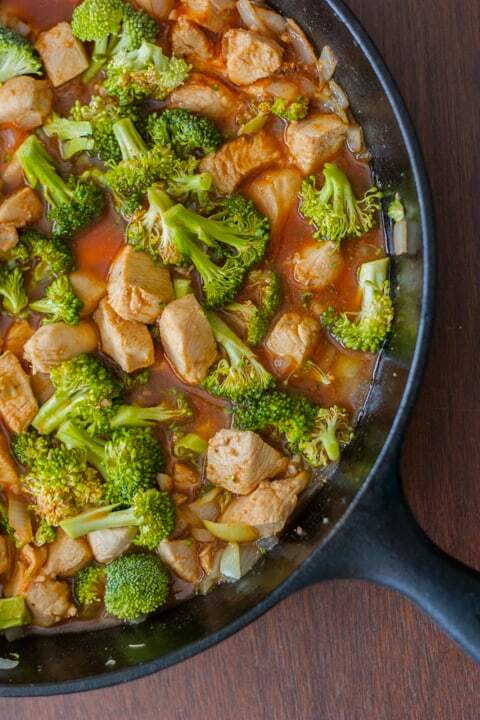 Chicken, broccoli and green peas create a hearty filling for this skillet recipe that warms your soul. The secret behind Shepard’s pie is the broth-based sauce. The broth consists of savory umami flavors made with chicken stock, tomato paste and Worcestershire sauce. These critical ingredients blend together for that rich, recognizable Shepherd’s Pie flavor. 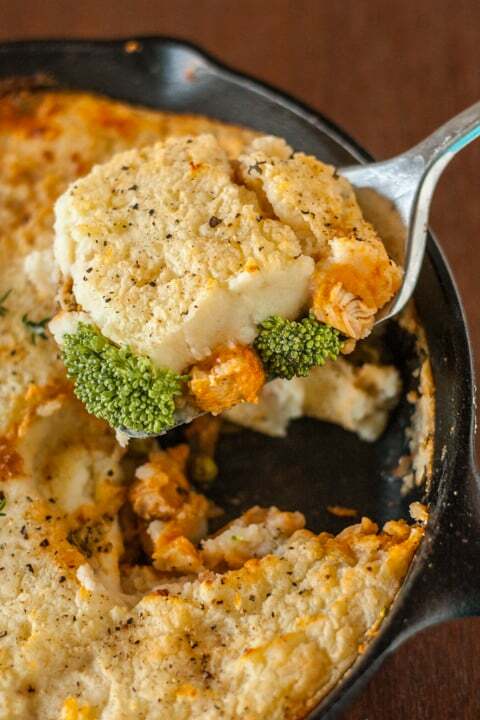 This gluten-free Cheddar and Broccoli Skillet Chicken Shepherd’s Pie recipe would be a wonderful addition to your Thanksgiving table, so plan ahead and remember this when your family asks what dish you’re bringing. It’s also ideal after the dinner if you end up with leftover mashed potatoes. 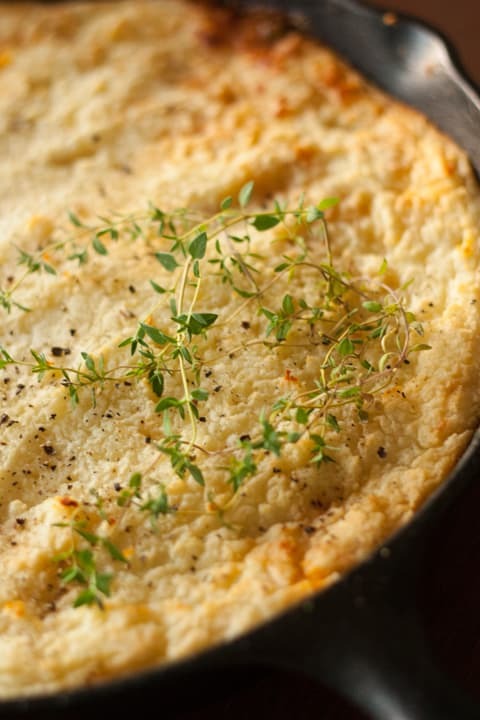 If you don’t yet have a cast-iron skillet, you can cook the filling in a non-stick pan, then assemble the Chicken Shepherd’s Pie in a casserole or baking dish for baking. Sour cream, butter and milk adds flavor and fluffiness to mashed potatoes. The beating process creates air bubbles in the fat molecule of these ingredients, which fluff up the potatoes into a silky texture. 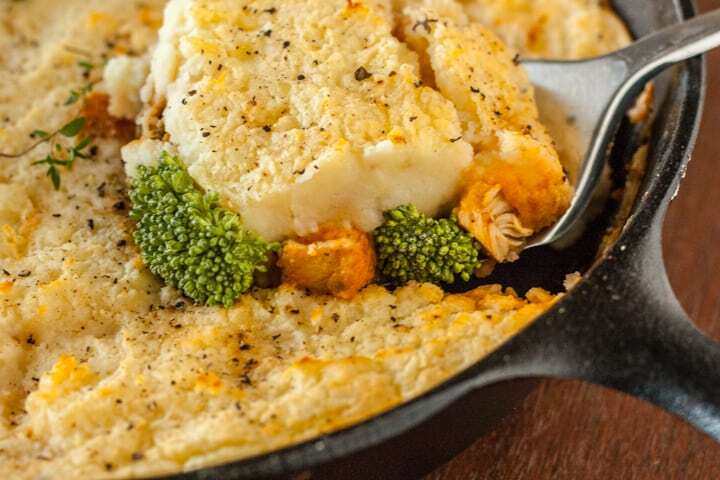 This gluten-free Cheddar and Broccoli Skillet Chicken Sheppard’s Pie recipe would be a wonderful addition to your Thanksgiving table. Chicken, broccoli and green peas create a hearty filling for this skillet recipe that warms your soul. The secret behind Shepard's pie is the broth-based sauce. Peel and cut potatoes into roughly 1-inch cubes. Place potatoes and 1-teaspoon salt in a large pot and fill with water to completely cover potatoes (leave at least 1-inch from top to prevent over boiling). Stir and place on high heat, bring to a boil. Reduce heat to medium, continue to boil for 15-20 minutes. Potatoes should be tender and a knife inserted should easily cut through. Remove from heat and drain. Place cooked potatoes in a large bowl. Add butter, mash or mix together. Add sour cream, milk, garlic, salt and pepper. Mix together until combined, fluffy and smooth. Meanwhile preheat oven to 400º F. Heat olive oil in large cast-iron skillet to medium-high heat. Add onion and garlic, sauté 2-3 minutes until fragrant. Add chicken, sprinkle with salt and pepper. Cook 6-8 minutes, stirring occasionally, until opaque white and just cooked through. Reduce heat to low. Stir in Worcestershire sauce, tomato paste, chicken stock and broccoli. Cover and simmer for 10 minutes to thicken. Stir in frozen peas and cook 1-2 minutes more to defrost. Remove from heat. Evenly spread mashed potatoes on top of filling. Use as much as you’d like, but it should be at least ½ inch thick and go to the edges. This creates that nice layer effect and keeps the sauce in while preventing it from boiling over. Sprinkle with shredded cheese. Bake 30 minutes at 400º, until pie is warm and cheese is bubbly. Optional: broil on high for 3-5 minutes and brown top. Remove and place skillet on cooling rack. Allow to sit for at least 10 minutes to thicken before serving. That looks sooo good! I’ve never thought about chicken in shepherd’s pie! Love the photo tips too. Thanks Karen. Chicken is wonderful for shepherd’s pie and a healthier option. Glad you like the photo tips. 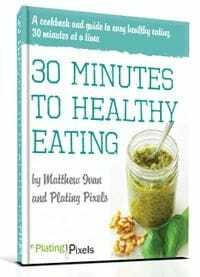 All my recipes have them so hope you can get some useful tips! What a fantastic idea, I’m pinning this for Thanksgiving — thank you! Thanks for pinning Jes! 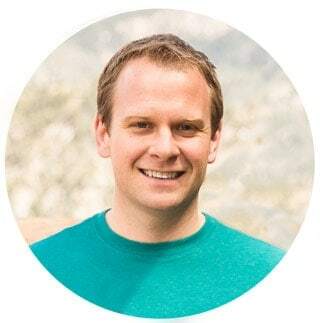 I’m always happy to get my blog and recipes out to more people. Hope you enjoy. This looks delicious! What a great way to use up those extra potatoes!